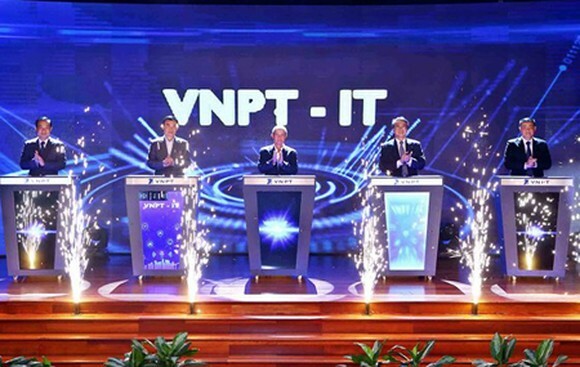 The grand opening ceremony of the VNPT-Information Technology Company (VNPT-IT), a new member of the Vietnam Posts and Telecommunications Group (VNPT), was held yesterday in Hanoi. 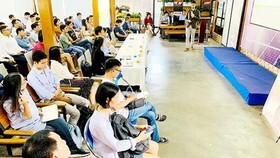 With thousands of IT engineers and the focus on developing state-of-the-art technological products related to Artificial Intelligence (AI), Bigdata, and Blockchain, the new company is considered the main force to help VNPT fulfill the goal of becoming a leading digital service provider in Vietnam and an important Digital Hub of the neighborhood as well as the world. Officially established in April 2018, VNPT-IT is a business having dependent accounting and a member of the VNPT. 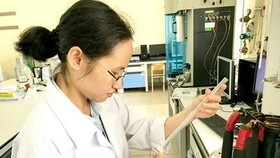 It has the responsibility to research and develop integrated information and communication technology (ICT) solutions to serve VNPT’s customers or independent clients and even foreign ones. 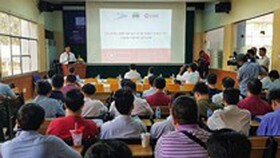 This will make VNPT-IT a new pillar in producing software and IT applications of the whole Group, helping it achieving breakthroughs in the period of 2017 – 2025 in order to transform from a conventional telecommunications service provider to a supplier of multi-services, including telecommunications, information technology, and digital services. 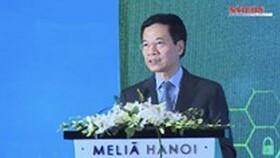 According to Mr. Ngo Dien Hy, Director of VNPT-IT, the assigned responsibility is truly challenging. To fulfill it, his company will integrate cutting edge technologies like AI, Bigdata, and Cloud into the services to offer more benefits to customers while increasing the competitiveness of VNPT’s products. The company’s staples will focus on three major fields of healthcare, education, and digital government, including smart city building. 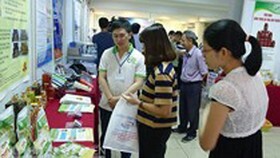 Regarding education, VNPT-IT has VnEdu – the educational network with the largest market share in Vietnam and having been launched in all 63 provinces and cities nationwide. It is being used by 12,800 schools for information management of 4 to 5 million students, over 650,000 teachers, and 2,000 school websites. The latest version VnEdu 2.0 is an integrated ecosystem to supply the Elearning platform and strengthen the connection between parents, teachers, and learners. As to digital government, the product eGov has been officially launched in 49 out of 63 provinces and municipal cities in accordance with the national standards. 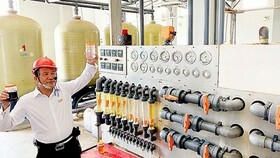 The iGate system of VNPT has also been run in 25 out of 63 provinces and municipal cities. The iOffice system to manage documents has been used in 45 provinces and municipal cities to allow inter-connections with full modules to around 10,000 governmental bodies in four levels. 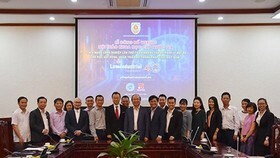 Concerning Smartcity, VNPT’s model has been chosen as a pilot program in many provinces and cities like the island district of Phu Quoc in Kien Giang Province, the southern province of Can Tho. In the medical field, the product VNPT HIS has been implemented in four levels from the central to the provincial, district, and commune ones. VNPT has installed the medical management software for 7,210 medical bodies nationwide to achieve the aim of digitizing the task of medical examination. 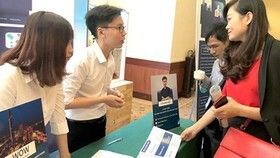 Consistent with the strategic development plan for the period from 2017-2025 and vision to 2030 of VNPT called VNPT 3.0, in the years to come, VNPT-IT will focus on developing new technological products to fulfill the goal of becoming a leading IT company and digital service provider in Vietnam. It also wishes to be an important digital hub in the Southeast Asian and the whole Asian area, as well as the main force for breakthrough of the whole VNPT Group in the process of digitization. This, in turn, is expected to offer much more benefits to customers. Accordingly, VNPT 3.0 mentions that in 2020, the average revenue development of VNPT-IT will be over 6.5 percent per year, the average profit development will be more than 10.8 percent per year. In the period from 2021 – 2025, the two above rate will be 7.7 percent a year and 11 percent a year, respectively. The ultimate aim is that in 2022, the rate of profit over existing capital will be the same as those of its international counterparts. 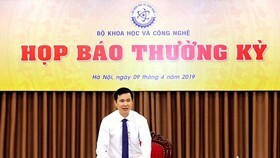 As stated by Mr. Tran Manh Hung, President of VNPT, in the previous restructuring process, VNPT did not have a chance to proceed with the IT field. However, in this new strategic development plan, his Group considers IT as its pillar, and hence the strong focus on it in order to boost the growth of the whole Group.